Those pesky former Brewers are stealing your Yankees! Lol sorry to hear Danny! I know!!! What would be a success for you, is a failure for me!!!!!! 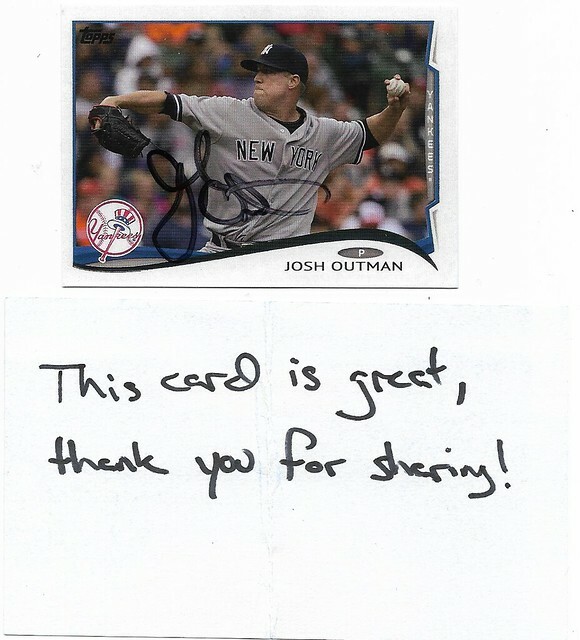 Josh Outman on a 2014 Topps CUSTOM card, signed in black sharpie, sent to his home on 1/19/19. 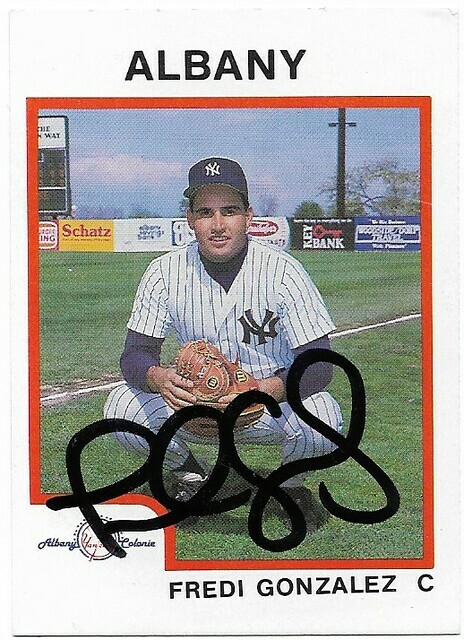 Fredi Gonzalez on a 1987 ProCards card, signed in black sharpie, sent to his home on 1/22/19. 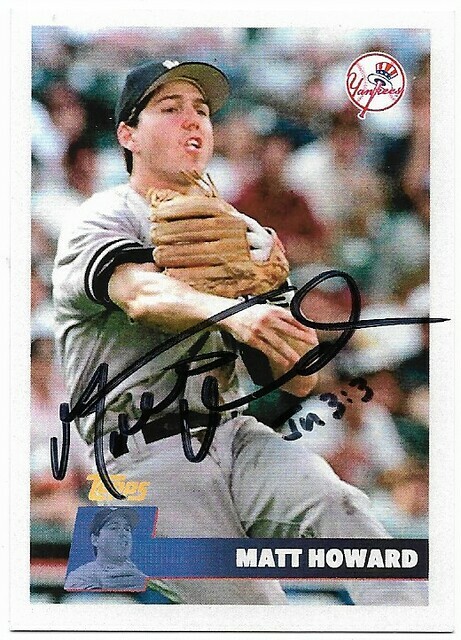 Matt Howard on a 1996 Topps CUSTOM card, signed in black sharpie, sent to his home on 1/18/19. 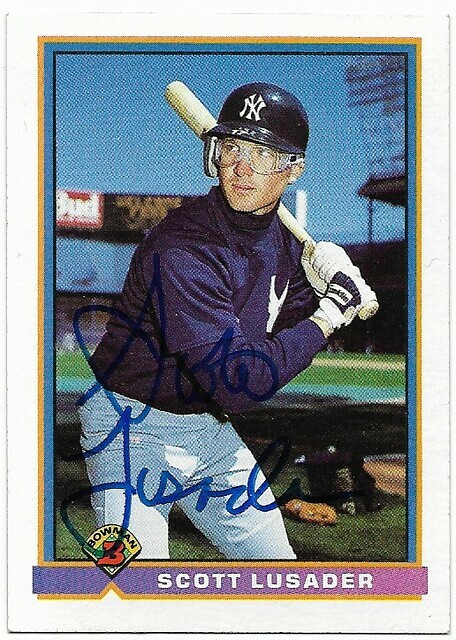 Scott Lusader on a 1991 Bowman card ($5 fee), signed in blue sharpie, sent to the Athletic Connection on 1/5/19. 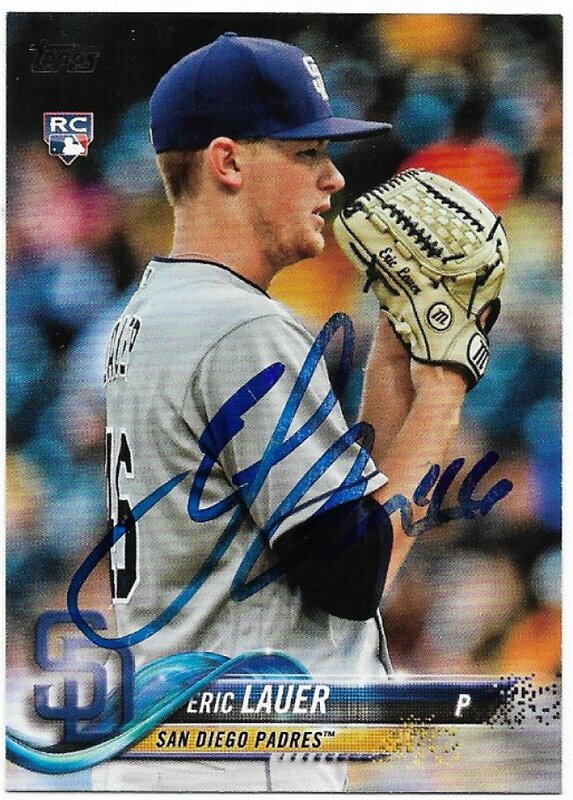 Eric Lauer on a 2018 Topps card, signed in blue sharpie, sent to his home on 11/2/18. 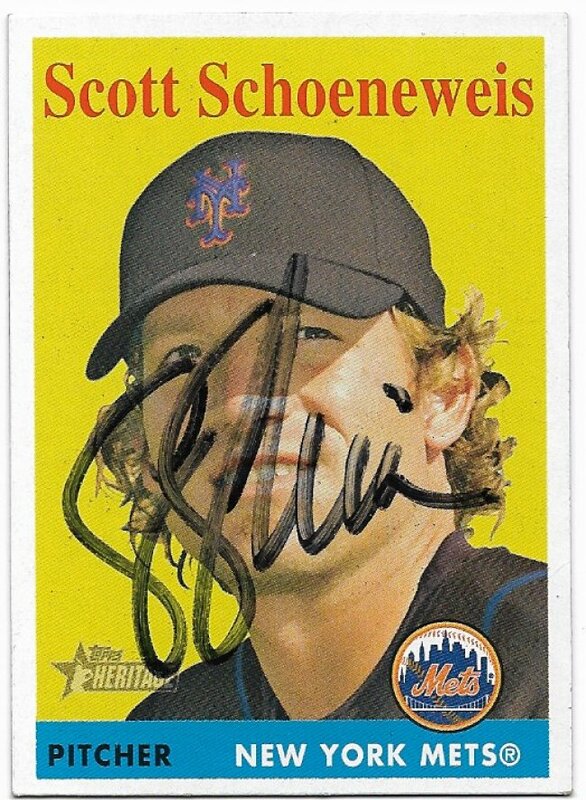 Scott Schoeneweis on a 2007 Topps Heritage card, signed in black sharpie, sent to his home on 1/22/19. 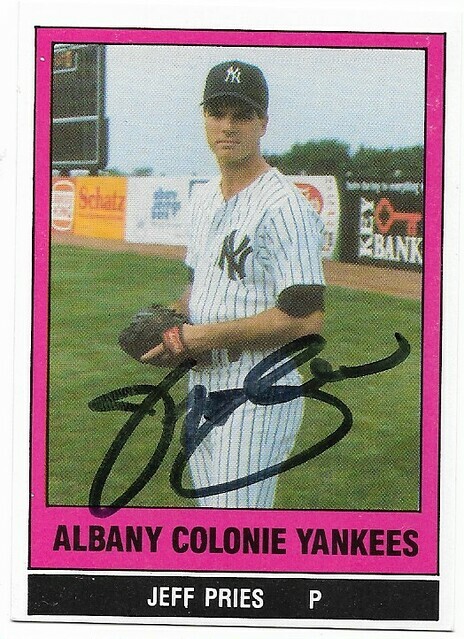 Jeff Pries on a 1986 TCMA card, signed in black sharpie, sent to his home on 1/22/19. It is a nice card. 4/1 Added 3 autographed items. 3/1 he added 2 other autographed items. Congrats!!!! Those Studio cards were always perfect for autographs, especially the 8x10's!!!!! 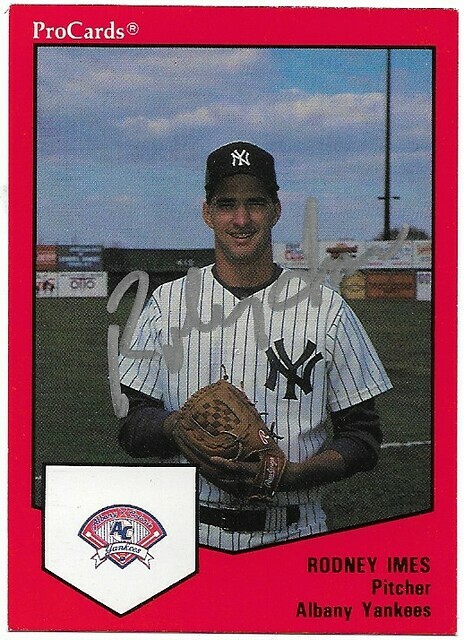 Rodney Imes on a 1989 ProCards card, signed in silver sharpie, sent to his home on 1/22/19. 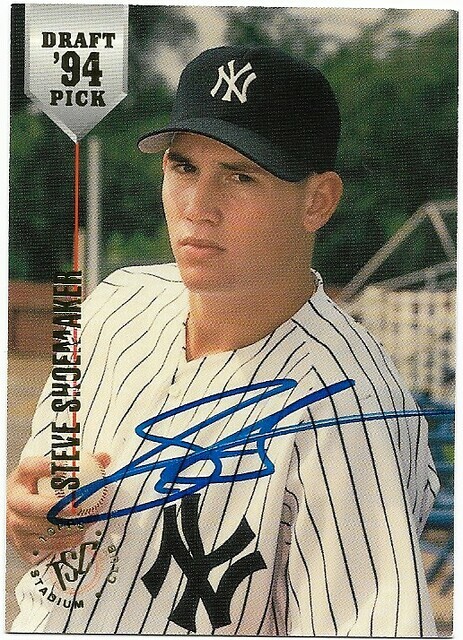 Steve Shoemaker on a 1994 Stadium Club card, signed in blue sharpie, sent to his home on 1/22/19. 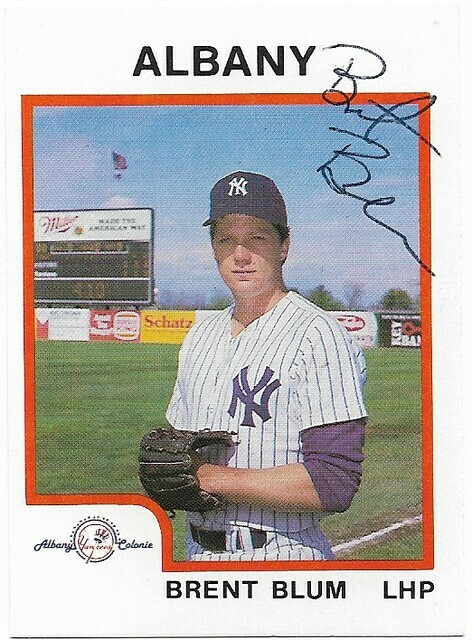 Brent Blum on a 1987 PROCARDS card, signed in black ball point, sent to his home on 2/4/19. 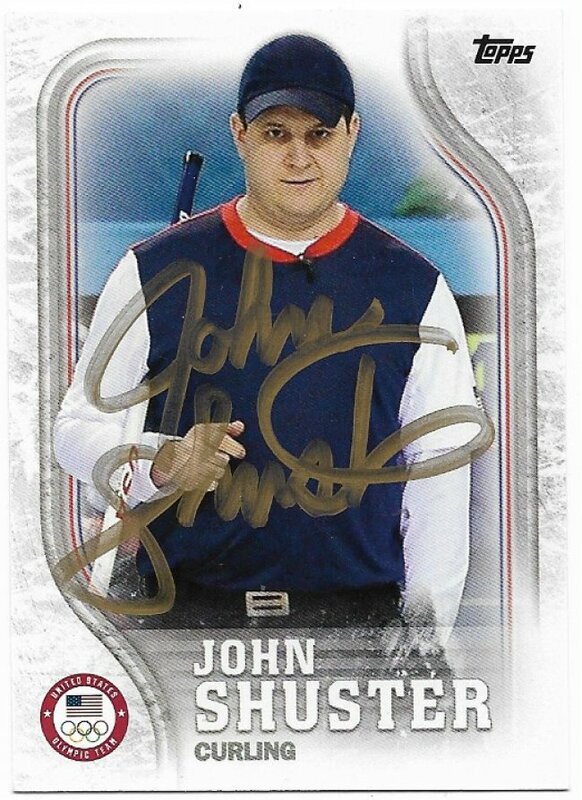 John Shuster on a 2018 Topps card, signed in gold sharpie, sent to USA Curling on 2/14/18.